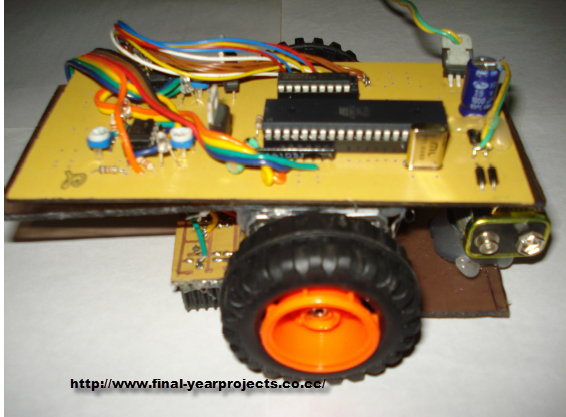 This is a good Electronics Microcontroller Project report on Grid solving Robot and based on 8 bit Microcontroller AT89S52. The report is divided into many chapter and covers topic like deference between grid solver robot and a common line follower robot, need of Grid Solving Robot, Stepper Motor, Components detail etc. 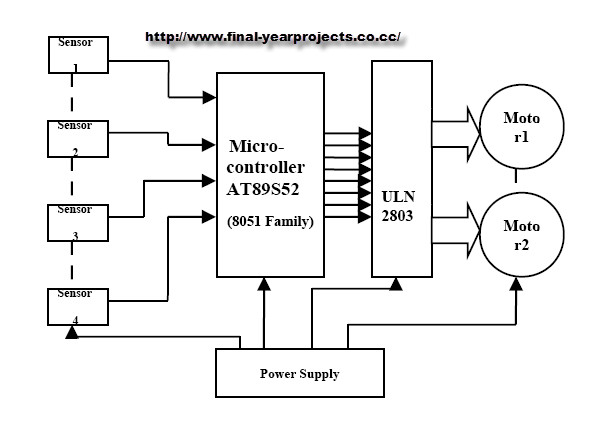 The report also include the block diagram, circuit diagram & Microcontroller programming source code of Grid solving robot. You can also Subscribe to FINAL YEAR PROJECT'S by Email for more such Projects and Seminar. The above image shows the actual grid solving robot and its block diagram. This Robot follows the black line which is drawn over the white surface or it follows the white line which is drawn over the black surface. The sensors are used to sense the line. Use this project for your reference and study.